Thursday 4/2: Test today on chapter 20: Overseas Expansion. Wednesday 4/1: Today we played "Stump the Expert" in order to review for our test tomorrow on American Overseas expansion (chapter 20 in your textbook). The learning targets for this chapter can be found below. Tuesday 3/31: Today we learned how the three policies we have been studying in the past few days laid the groundwork for how the United States would deal with foreign policy issues throughout the 20th century. There is no homework if you didn't finish the questions in class. Monday 3/30: Today we recapped the three phrases associated with each of the three foreign policies: "Speak softly, but carry a big stick. "-TR; "Go where the money goes. "; and "Let the work speak for itself." We also created pyramid foldables with each of the three foreign policies. For each foreign policy, you are to include its name, phrase that it is associated with, and one word or picture to express how you judge this policy (good, bad, thumbs up, thumbs down, etc.) On the inside of the panels, write any relevant facts about this brand of foreign policy. This will be collected tomorrow for a grade. 3/18-3/20: No class. Musical performances. Enjoy Spring Break! Tuesday 3/17: Today we discussed the answers to the assigned questions from yesterday and we watched a video in order to understand three foreign policies that the presidents of the time used to deal with other countries: Roosevelt's Corollary to the Monroe Doctrine ("Big Stick" Diplomacy), Dollar Diplomacy, and Morale Diplomacy. Monday 3/16: Today we read an article on the Panama Canal and you worked in groups to answer questions 1 and 4 that went along with the packet. Thursday 3/12 and Friday 3/13: On these days, each pair presented their yellow journalism account of the Spanish-American War, and I used a visual example of how the Panama Canal cut the travel time in half when traveling by boat between the Atlantic and Pacific Oceans. Wednesday 3/11: Continued working on presentations in computer lab. Tuesday 3/10: Today we mapped the new territories that the U.S. had dealt with and/or gained in this time period of America's expansion beyond the "lower 48 states". We also watched CNN student news. Thursday 3/5 and Friday 3/6: On these days we finished the presentations, played Thawmp Em! in order to review, and I briefly talked about the power of tabloid newspapers/magazines. Wednesday 3/4: Today we finished wring the stories and presented them. We also talked about the causes and effects of American overseas expansion. 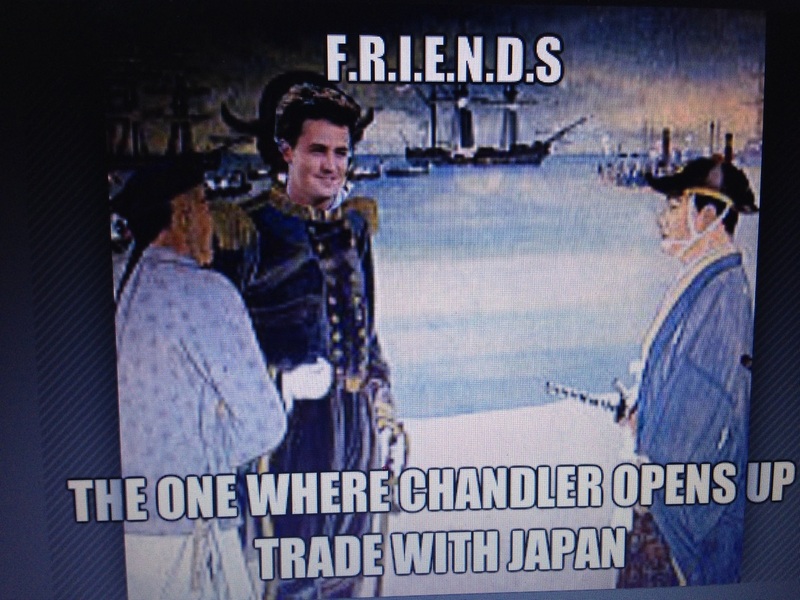 Tuesday 3/3: Today I divided you up into groups of 5 in order to create a piece of "historical fiction" that describes one of four topics: Commodore Matthew Perry opening up U.S. trade with Japan, William Seward's purchase of Alaska, the annexation of Hawaii, and Manifest Destiny. We will continue working in these groups tomorrow. Monday 3/2: Today you submitted your essay test that was assigned over the weekend, and I gave you some background knowledge for the foreign policy chapter that we are entering into. Friday 2/27: Today I assigned your take home essay test on the Progressive Era. Remember to write 2-3 sentences per bullet point on the brief responses and 3-6 sentences on the extended response. These essays will be collected on Monday. Thursday 2/26: Today we wrapped up the Booker T. Washington vs. W.E.B. DuBois activity from yesterday. You will receive your take home essay test tomorrow. Wednesday 2/25: Today we looked at some documents in order to determine how Booker T. Washington and W.E.B. Dubois helped to improve the lives of African Americans in the early 1900s. Monday and Tuesday 2/23 and 2/24: Today we completed the packet below. You have the choice of writing the editorial (2 paragraphs; 4-6 sentences each) OR creating the campaign poster. Friday 2/20: Today we presented the information from the expert panels. I also explained President Woodrow Wilson's impact in creating the Federal Reserve Bank. Thursday 2/19: Today we formed "expert panels" in order to present the information that in the stations activity. Wednesday 2/18: Today we wrapped up the stations. 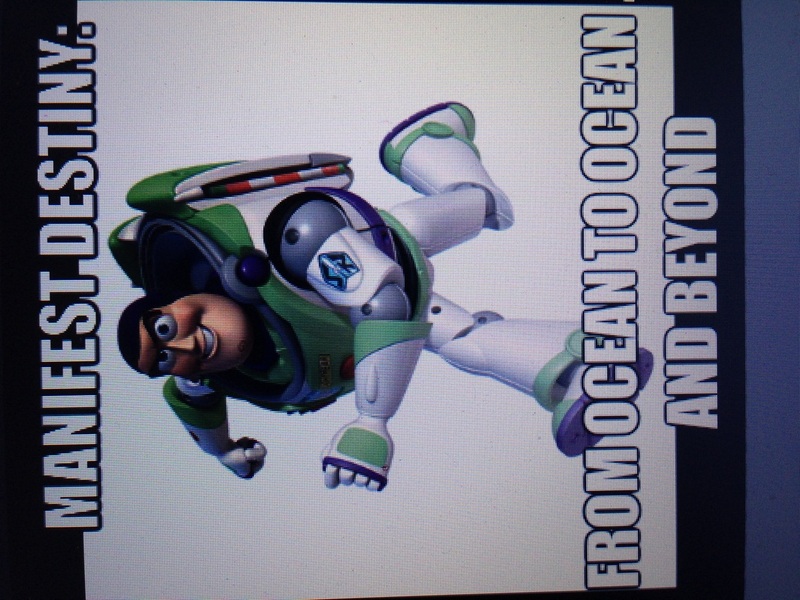 I also handed out the packet below. Progressive Era learning targets and notes- 8M (they can be found on the PDF below). Tuesday 2/17: Today we continued working on the activity from last Thursday. Thursday 2/12: Today we began an activity in which you will read, watch videos, and analyze photographs that explain various details about the life and presidency of Theodore Roosevelt. We will continue this activity next week. Monday 2/9-Wednesday 2/11- Presentations! I will have a copy of the notes from all of the presentations available soon! Thursday 2/5: Today we took a reading quiz, completed guided notes, and we looked at 2 photographs in order to determine the origins of the temperance movement of alcohol (which led to the 18th amendment) and the changing role of women (which led to the 19th amendment, or the right for women to vote). Wednesday 2/4: Today I introduced a project that will be due on Monday 2/9. The project details can be found below. Also, there will be a reading quiz TOMORROW on chapter 19 section 3 (The Role of Women). Read and take notes on this section. What does it mean to reform? Would you ever consider becoming a reformer? If so, what issues would you want to reform? If not, why not? After studying urbanization and immigration in the late 1800s and early 1900s, what kinds of issues needed to be reformed at the time? Why? Friday 1/30: Today we researched some current events. Wednesday 1/28: Today we review for the test tomorrow. Tuesday 1/27: Today we discussed your writing samples from yesterday, learned about the experience that immigrants had coming through Angel Island near San Francisco (this was the darker experience compared with that of Ellis Island in New York). I then handed out a reading packet that describes the attitudes that many Americans had towards these new immigrants and what government policies were put in place at the time to limit immigration. Tomorrow we will review by playing a Jeopardy game, and our chapter 18 test will take place on Thursday. Monday 1/26: Today we began class by drawing and captioning "the American Dream". 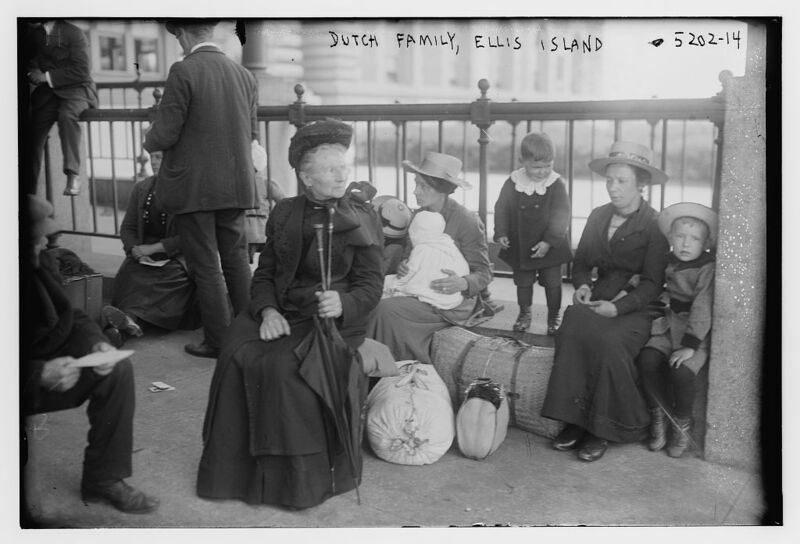 We then watched two videos that described the hardships that immigrants had to face once they arrived in the United States, and how organizations like settlement houses (such as Hull House, set up in Chicago by Jane Adams) worked with immigrant families to overcome these problems. I then asked you to complete a write sample. Friday 1/23: Today we watched a brief video on the experience an immigrant might have had upon arriving in New York Harbor. We then read and discussed push factors(forces that drove immigrants out of their home countries) and pull factors (forces that convinced immigrants that the United States was the best place to settle and begin a new life). Thursday 1/22: Today we discussed the article form yesterday (with the help of a Google Earth field trip). Then, we transitioned to discuss immigration in the late 1800s and early 1900s. We looked at a picture of an immigrant family and analyzed the meaning behind it. Wednesday 1/21: Today we filled out some causes and effects of urbanization We also began to read and discuss an article on the factors of growing cities. Please complete the questions that go along with the readings for homework. Tuesday 1/20: Today we discussed our findings on our labor union webquests. We also discussed MLK day and the State of the Union Address tonight. Friday 1/16: Today I lectured using the powerpoint below, and then we looked at different labor unions that exist today through a webquest activity. If you didn't finish the webquest activity in class, it is homework. Thursday 1/15: Today we speed debated on how we viewed businessmen like Andrew Carnagie and John D. Rockafeller: as captains of industry or robber barrens. We also watched a few videos in order to see the downside to industrialization and urbanization. Wednesday 1/14: Today we discussed trusts and the theory of Social Darwinism. Tomorrow we will speed debate answering the question "What should we call men like Andrew Carnagie and John D. Rockafeller: captains of industry or robber barrens"? Tuesday 1/13: Today we learned about Andrew Carnagie and John D. Rockafeller and discussed how they were able to establish their monopolies/ trusts. We even did some fun exercises to explain vertical and horizontal integration. Monday 1/12: Today we simulated an assembly and discussed its advantages and disadvantages. Friday 1/9: Today we finished the explanation of the growth patterns of cities. Wednesday 1/7: Hello, 8th graders! I hope all of your are staying warm on this day off of school. Please continue to work on your chapter 17 projects, as they are still due on Friday! You may email/share them with me. Tuesday 1/6: Today we wrapped up the geography bee and began to introduce the next chapter on urbanization. Please remember to bring your textbooks tomorrow. Monday 1/5: Welcome back! Today we got back into the swing of things by participating in the preliminary rounds of the Geography Bee, Remember, your chapter 17 projects are due on Friday, January 9th. Friday 12/19: No class today. Enjoy your Christmas break! Thursday 12/18: Today we wrapped up the powerpoint from yesterday, and I assigned a project for chapter 17. The handout for the project can be found below. 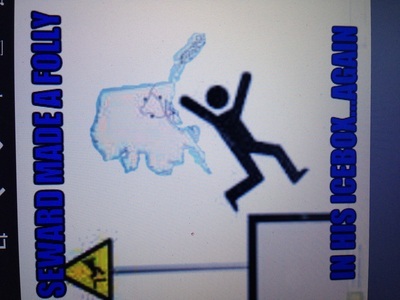 Wednesday 12/17: Today we took a reading quiz on chapter 17 section 4 "Farming in the West", simulated a land grab in order to demonstrate how the Homestead Act left lasting effects on the American West, and started a powerpoint on the effects of the populist Movement on the election of 1896. Tuesday 12.16: Today we watched a video about Buffalo Bill Cody in order to answer the question "How did cow towns create the myth of the "Wild West". If you did not finish this in class, you are to read chapter 17 section 4 "Farming in the West". There will be a reading quiz on this tomorrow. Monday 12/15: Today we watched a video that answered the question,"What factors led to the "boom and bust" of the cattle industry? The video can be found below. Thursday 12/11: Today we conducted a "mock cattle drive" in the classroom and I asked all of you to draw what a "cowboy" looks like to you. Wednesday 12/10: Today we wrapped up the primary sources packet on the Battle of Little Bighorn. We also wrote 2 paragraphs dealing with a revised textbook account of the Battle of Little Bighorn. That is, you are to revise the textbook account from your packet based on the information you learned from the primarcy sources in the packet. This is homework if you haven't completed it. Friday 12/5: Today we examined some primary sources in order to determine the truth behind the Battle of Little Bighorn. We will continue this activity on Wednesday, our next day of social studies class. Thursday 12/4: Today we discussed all of the conflicts that took place with Native Americans as expansion pushed West. Below are the powerpoint and guided notes handout I gave out in class. Wednesday 12/3: Today we wrapped up the impacts of mining on the expansion of the American West, and we talked about the impact of the transcontinental railroad. We completed a graphic organizer which shows the effects of both mining and the transcontinental railroad. Tuesday 12/2: Today we began the next chapter on the transformation of the West by talking about the impact of mining on the American West. We watched a video on the Comstock Lode silver deposits in Virginia City, Nevada. The video can be found below. (Note: We watched parts 1 and 2 of the video). Monday 12/1: No class. Map testing. Friday 11/21: Your Reconstruction essays are due today! You can email/share them with me, but they are due no later than 11:59 PM tonight! Thursday 11/20: Today we continued writing our Reconstruction essays. Wednesday 11/19: Today we continued working on our Reconstruction essays. If you would like to bring in your own electronic device tomorrow to write your final draft, you may do so. The essays will be due at 11:59 PM on this Friday November 21. Tuesday 11/18: Today we began writing our rough drafts for our persuasive essays regarding the topic of whether former slaves were truly considered "free" following the Reconstruction Era. No homework tonight. Monday 11/17: Today we got a little bit further into preparing to write our persuasive essay that looks at how effective the Reconstructive Era really was (each class is in slightly different spots due to vision and hearing testing). Tomorrow, we will begin pre-writing the essay. Thursday 11/13: Today we analyzed some documents regarding the treatment of African Americans during Reconstruction in order to determine if African Americans were truly considered free after the Civil War. 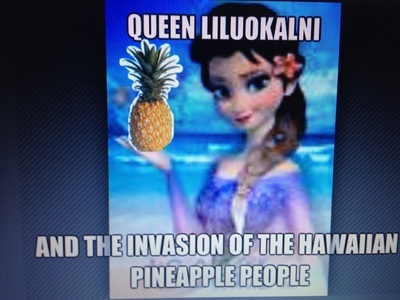 This will lead into writing a persuasive essay on the subject next week. No homework! Tuesday 11/11: Review day! The chapter 16 test on Reconstruction will be tomorrow! The link to the Jeopardy game we played in class today can be found below. Monday 11/10: Today we wrapped up the Reconstruction chapter by discussing sharecropping and the Great Migration. Tomorrow we will review the chapter, and we will take the chapter 16 test on Reconstruction on Wednesday. Thursday 11/6:No class today. ASPIRE testing. Remember to study for the chapter 16 test (Reconstruction), which will be on Wednesday of next week. Wednesday 11/5: Today we wrapped up the Introduction to Segregation activity. We are winding down in chapter content, so please remember to begin studying for your test if you haven't done so already. It will be next Wednesday (a week from today). Tuesday 11/4: Today we talked about some different methods that were used to prevent African Americans from voting even after the creation of the 13th, 14th, and 15th amendments, and looked at examples of Jim Crow laws (black codes). Tomorrow we will wrap up our activity. Monday 11/3: Today we took a literacy test that demonstrates the obstacles that African Americans faced even after the creation of the Reconstruction amendments (13th, 14th, and 15th). No homework tonight! The link to the literacy test with answers can be found below. Friday 10/31: No class. Happy Halloween! Thursday 10/30: Today we discussed how the election of 1876 led to the end of Reconstruction. We also examined some political cartoons which showed the importance of the election of 1876. Wednesday 10/29: Today we watched a video that explains the impeachment of President Andrew Johnson and how this effected the battle over Reconstruction. The video and handout can be found below. 10/28: Today we wrapped up the Reconstruction Amendments activity by making a foldable. Please keep your foldable. It is a great way to study that information for the test! If you would like to see my foldable example, pictures can be found below. Monday 10/27: Today we took a reading quiz on chapter 16 section two and looked at some primary sources concerning the Reconstruction amendments of the Constitution. If you have not completed your handout that asks you to summarize the Reconstruction amendments, finish that for homework. 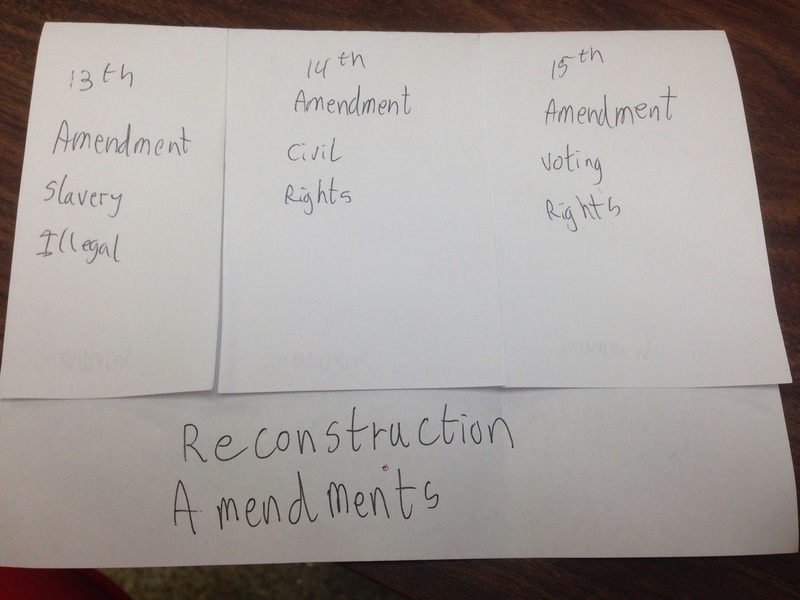 Tomorrow we will make foldables to recap what we have learned about the Reconstruction amendments. All of the handouts I gave out in class today can be found below. Friday 10/24: Today we had a brief discussion to wrap up our activity from yesterday, and I passed back your chapter 15 tests on the Civil War. Those grades are now in PowerSchool. For homework, read chapter 16 section 2 in your textbook. Read, take notes, and be ready for an open-note quiz on this section on Monday! Have a great weekend! Thank you all again for wishing me a happy birthday! Thursday 10/23: Today we "speed debated" on the different ideas regarding how the U.S. government wanted to reconstruct the country after the Civil War. Tomorrow we will wrap up our discussion. Wednesday 10/22: Today we continued reading and analyzing some primary sources which talk about the government's different and opposing plans for reconstruction following the Civil War. We will continue this activity tomorrow. 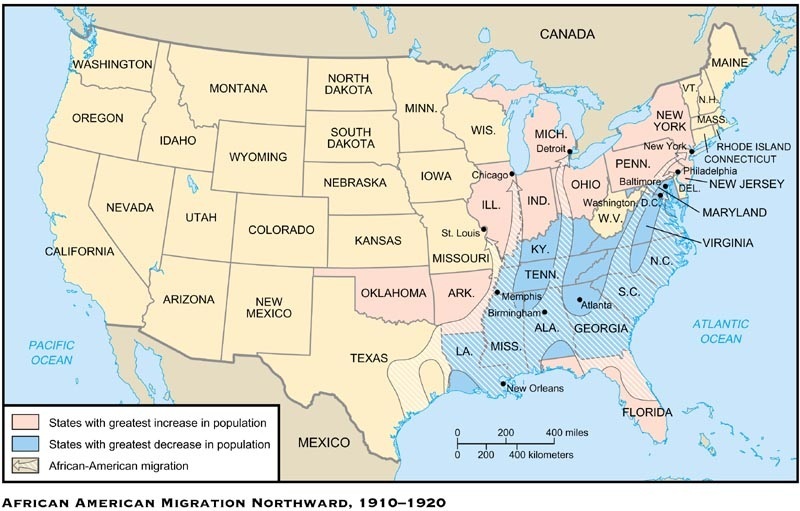 Tuesday 10/21: Today we began an examination of some primary resources explaining the U.S. government's plans to reunite the South after the end of the Civil War. We will continue this lesson tomorrow. A copy of all of the handouts of the lesson (even the ones I did not give to your specific group) can be found below. Monday 10/20: Today we wrote a short essay which made a prediction about the direction the United States will take during the Reconstruction era. We also watched CNN Student News. Thursday 10/16: Today we review for the Civil War test, which will take place tomorrow. The Jeopardy game that we played in class can be found below. Test tomorrow! Wednesday 10/15: Today we wrapped up the powerpoint from yesterday, and we were joined in class by Abraham Lincoln (sort of). Tomorrow we will spend class time reviewing the Civil War chapter, and our test will take place on Friday. Tuesday 10/14: Today we discussed life during the Civil War. 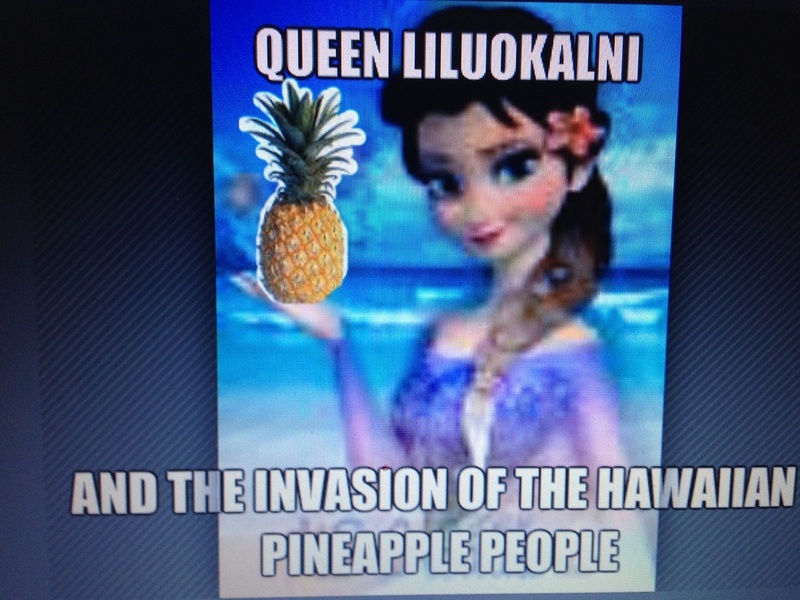 The powerpoint I used in class can be found below. We will wrap up our discussion on Civil War life tomorrow, and have a conversation with a very special guest! Monday 10/13: No school. Columbus Day. Friday 10/10: Today we wrapped up our Emancipation Proclamation discussion. Below you will find the powerpoint that I used in class. Please finish up the paragraph writing response that you started in class today. I will collect it on Tuesday. Have a great weekend! Thursday 10/9: Today we discussed the advancements in technology in the Civil War era. We also began an activity on the Emancipation Proclamation that we will wrap up tomorrow. I have posted the handouts from class today below. I will post the Emancipation Proclamation powerpoint tomorrow. Wednesday 10/8: Today we "speed debated" on topics relating to how General Grant's leadership changed the course of the Civil War. Tomorrow, we will discuss the new weapons and technology of the war and begin an activity on the Emancipation Proclamation. Tuesday 10/7: Today the last newscast presented in class, and we discussed the changes that took place when President Lincoln changed his leadership from the Union army from General McClellan to General Grant. For homework, read the documents on Grant and answer the five questions that follow those readings. If you have this completed at the beginning of class, you will receive 5 points in the grade book. If it is incomplete, no credit will be given. Monday 10/6: Today 4 out of the 5 groups in each class presented their newscasts. Tomorrow we will have our last group present and we will discuss more about the Civil War. Thursday 10/2: Below Wednesday's entry, you will find the rubric for the newscast project as well as the powerpoint presentation for Chapter 15 section 2. Wednesday 10/1: Today we met in our groups to work on our newscast projects. Tuesday 9/30: Today we discussed the overall picture of the Civil War, especially the advantages of the North and South. Keep working on your group newscast projects. Monday 9/29: Today you we assigned groups and roles for your Civil War newscast presentations. Remember, you will have time in class on Friday to gather your groups together. Be prepared to present your newscasts on Monday 10/6. Thursday 9/25: Today we talked about writing an expository essay in social studies class, and I assigned an expository essay prompt for homework over the weekend. The prompt is to be completed and submitted to me on Monday at the beginning of class. The link to the presentation I used in class today to explain how to write an expository essay is posted below as a link. I only used slides 6-11. The rest of the slides are not so much important. Remember, here are the possible topics you can choose as the one topic to your essay: popular sovereignty, Wilmont Proviso, Lincoln-Douglas debates, Uncle Tom's Cabin, Kansas-Nebraska Act, Fugitive Slave Act, Compromise of 1850, John Brown, Lincoln elected president in 1860, Dred Scott Decision, and Bleeding Kansas. Wednesday 9/24: No class today. Camp Duncan retreat. Tuesday 9/23: Test day. Today we took a test on the Build-up to the Civil War. Monday 9/22: Today we wrapped up the last three learning targets for the Buildup to the Civil War chapter. Tomorrow we will take a test on chapter 14. Study your learning targets, notes that you took from the textbook, and the videos that I have posted throughout this chapter. The link for the Jeopardy game we played in class today is also posted below. Good luck! Friday 9/19: Today we watched a video that recreated the Lincoln-Douglas debates of 1858. We did not get a chance to finish the video, so please make sure you can answer all of the questions on the handout that went with the video for class on Monday. For next week, we will discuss the last section of the chapter on Monday which involves the final actions which push the United States towards Civil War. I will post all review materials for chapter 14 on my website for Monday evening. The chapter 14 test will be given on Tuesday! 1. Why were the Lincoln-Douglas debates so important for the country as a whole? 2. How did John Brown's raid on Harper's Ferry deepen the divide between the North and the South? Wednesday 9/17: Today we wrapped up the discussion on the debate over new land won in the Mexican-American War and moved onto why the Compromise of 1850 failed and the Kansas-Nebraska Act. Tomorrow, we will be talking about the country's reactions to the novel Uncle Tom's Cabin. No homework tonight. The videos from class are posted below. 1. Why was the Compromise of 1850 considered a failure? 2. Why did Uncle Tom's Cabin have such a dramatic effect on the slavery issue? 3. How did the Kansas-Nebraska Act affect the Missouri Compromise? In case you missed it or want to watch it again, the video we watched in class is posted below. 1. How did the question of admission of new states to the Union fuel the debate over slavery and states' rights? 2. Why was the South so alarmed by the Wilmont Proviso? Thursday 9/11: Today we reflected and discussed the event of September 11, 2001. Wednesday 9/10: Today we started a new unit: The Build-up to the Civil War. Tomorrow, we will honoring the anniversary of September 11, 2001 and discussing what happened on that day and its effects following that day. Remember for homework, either interview an adult or find a video of someone talking about what they remember about 9/11/2001. Write down anything you would need to remember about what your person said, as we will be having a discussion on it tomorrow. Tuesday 9/9: Today we took the review unit test. I will return those on Thursday. Monday 9/8: Today during Social Studies, we started Map testing, so tomorrow we will be taking the review post test. Remember to study the pre-test, as most of the post-test questions will be based on the pre-test questions and answers. I will also spend 10 minutes in class tomorrow answering any review questions you might have. Weekend Update: It has come to my attention that not all of the presentations that were given last week are available for students to review. Because of that, the post-test that we will take tomorrow will be based more on the questions of the pre-test rather than the presentations. It will be a 15 point test. Friday 9/5: Today the final two groups presented to conclude the review unit. I have posted the link to my homeroom's and Miss Melville's presentations below. On Monday, we will take a post test on the review unit. It will be a combination of questions on the pre-test and content in the presentations. Thursday 9/4: Today two of the four groups presented their review projects. If you have not presented today, you will present tomorrow. Next week, we will wrap up the review unit with a post test and then begin the new material starting with the Civil War. Wednesday 9/3: Today we continued working on the review unit projects. 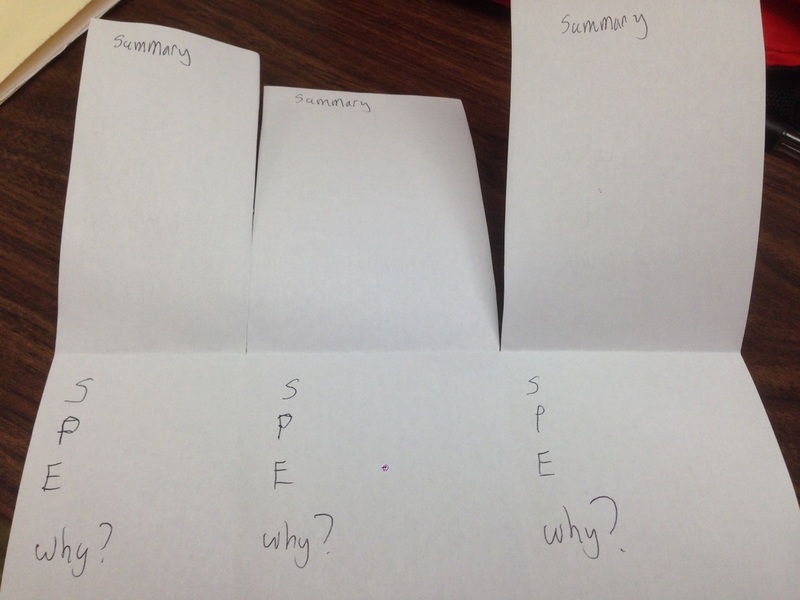 I passed around the rubric I will be using to grade your presentations, and I have posted a copy of it below. Presentations will begin tomorrow. If you are in Miss Melville's homeroom, "The Beginnings of American History" and "The Formation of the New Republic" groups will present tomorrow. If you are in my homeroom, "The Formation of the New Republic" and "The New Republic" groups will present tomorrow. All other groups will present on Friday. Tuesday 9/2: Today we started an in class review project. Students were given an individual question to answer. We will continue to work on the projects in class tomorrow, so please bring a personal laptop or tablet to class if you wish. If not, I will have ipads ready. We will be presenting these projects on Thursday and Friday of this week. Monday 8/25: Today was the first day of school. I introduced myself and all of you introduced yourselves to me. Tuesday 8/26: Today we went over the class syllabus, rules, and expectations. We also did an in class simulation and discovered why we write down our history. Remember, the syllabus needs to be signed by your parents and returned tomorrow, August 27th at the beginning of class! Wednesday 8/27: Today we discussed how to take good notes for class. Tomorrow we will be continuing the topic of taking notes, and we will be taking a review pre-test. Remember, the pre-test won't be graded, but the top three scores in each class will receive extra credit! Thursday 8/28: Today we took a pre-test to begin our review unit. I will score all of the pre-tests and hand them back tomorrow in class. Tomorrow we will go over the tests, continue our discussion on how to study in social studies class that we started on Wednesday, and begin to talk about what's to come next week in our review unit. Friday 8/29: Today we went over the answers to the pre-test that was given on Thursday. I have attached all of the answers in the file located just below. Next week on Tuesday we will be meeting in the Writing Lab to work on a project to begin our review unit. Have a great and safe Labor Day Weekend!